Since this is my 100th post :) so I wanted to post something sweet. 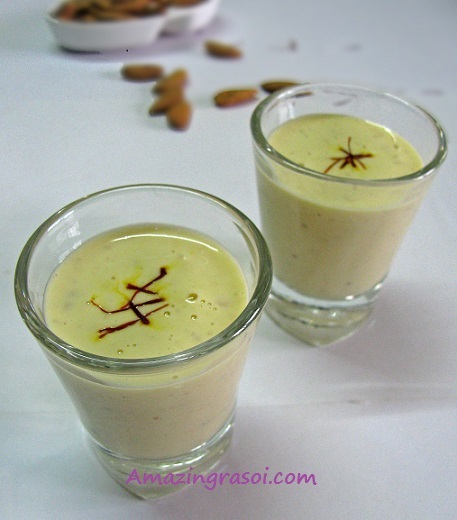 I had heard about Badam/almond kheer from one of my friend but don't know why I never tried. Since this post is special so I thought Badam Kheer would be good choice. 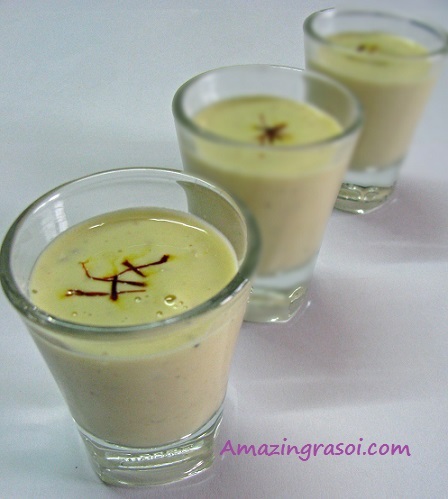 This is very rich and inviting dessert which can be prepared with less effort. Soak badam in hot water for 30 mins and then peal off the skin .Grind the badam with 1-2 tsp of milk to a fine paste and keep aside. Soak saffron in warm milk and keep aside. Boil the milk in a pan,add sugar and simmer till milk becomes slightly thicker. Add the saffron milk and mix well. Then add the badam paste. Allow it to boil for about 5 mins.By this time the mixture starts getting thicker. Add cardamom powder, mix well and switch off. Garnish with chopped almonds and Serve hot or cold. It thickens with time, so switch off when its slightly thicker. 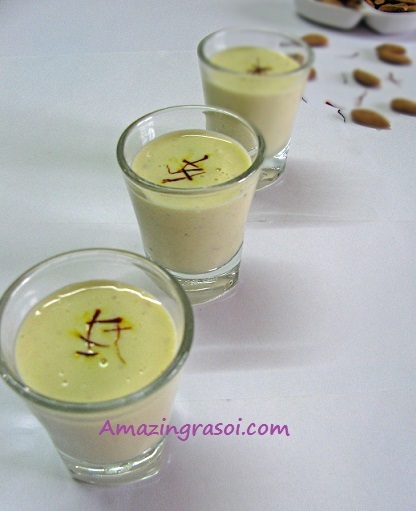 If wants kheer to be more liquid then add more milk and adjust sugar. Can add condensed milk also.